It's easy to say a car "feels" better after upgrades, but a dynamometer is the real test. 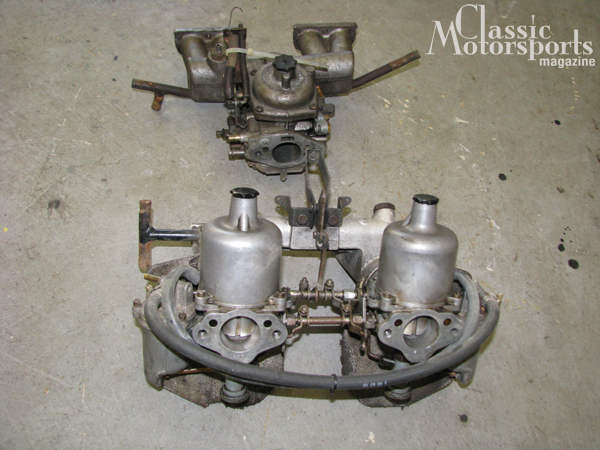 Swapping to a European intake manifold and carbs netted serious power gains. The stock European air cleaner looked trick, but it's probably choking our performance a bit. We'll try something less restrictive soon and measure the results. 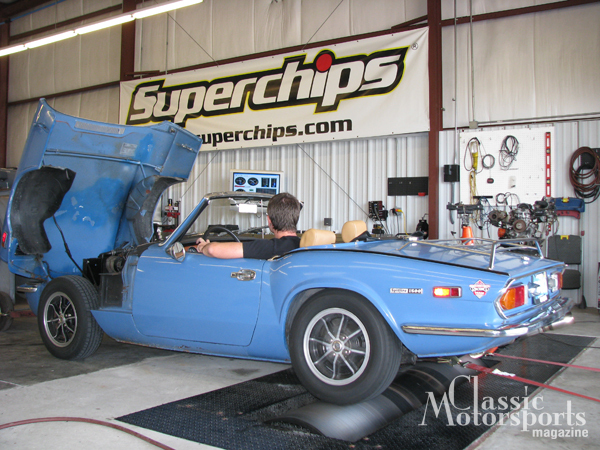 We’ve made some progress with tuning our Triumph Spitfire project. The car had been running a sticky and horribly restrictive single Stromberg carburetor, but we switched to a dual SU carb setup from a European Spitfire. 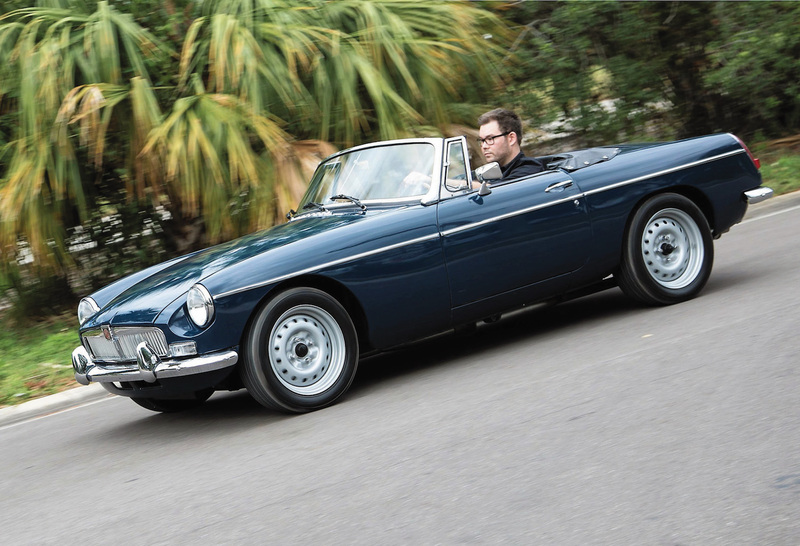 After installing them, we knew immediately that the new carbs were better: Both power and drivability improved remarkably. 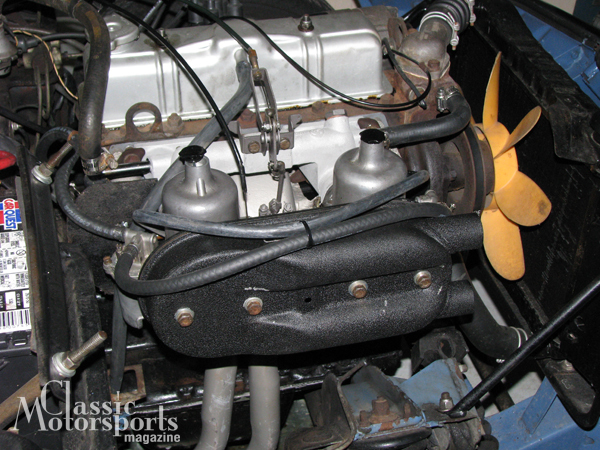 When combined with the European factory exhaust manifold, the little Spitfire was absolutely transformed. We’ll source a less restrictive air cleaner and make some other adjustments before testing again. We feel we can expect horsepower figures in the mid-70s with the right setup. 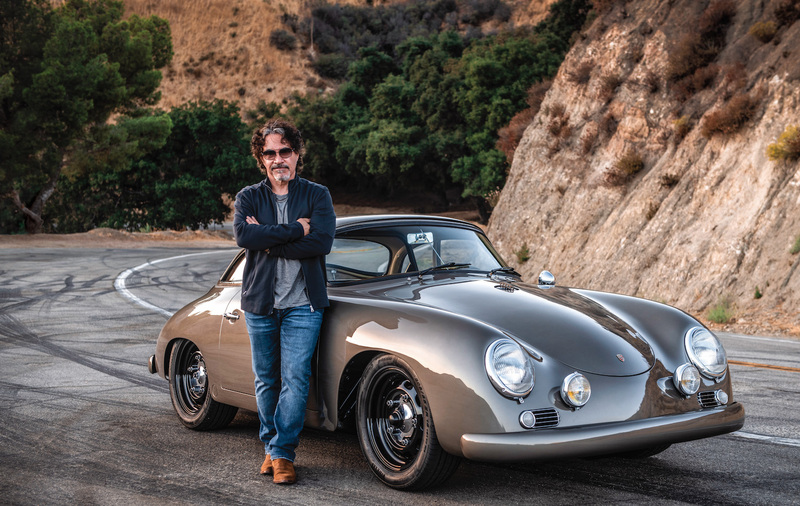 Look for a full story and more details early next year in an upcoming issue of Classic Motorsports.